Ack! My "real life" has been, and is going to be, keeping me very busy lately so I can't guarantee a post every two days like I usually do. But some good news is that I finally bought a new camera which means higher quality photos and HD video! I have yet to have time to record any videos with my new camera but I hope that converting the files and editing will not affect the quality of the videos too much. I have acquired a few new goodies in the past month but haven't had time to show you. A collective haul is coming soon, I promise! 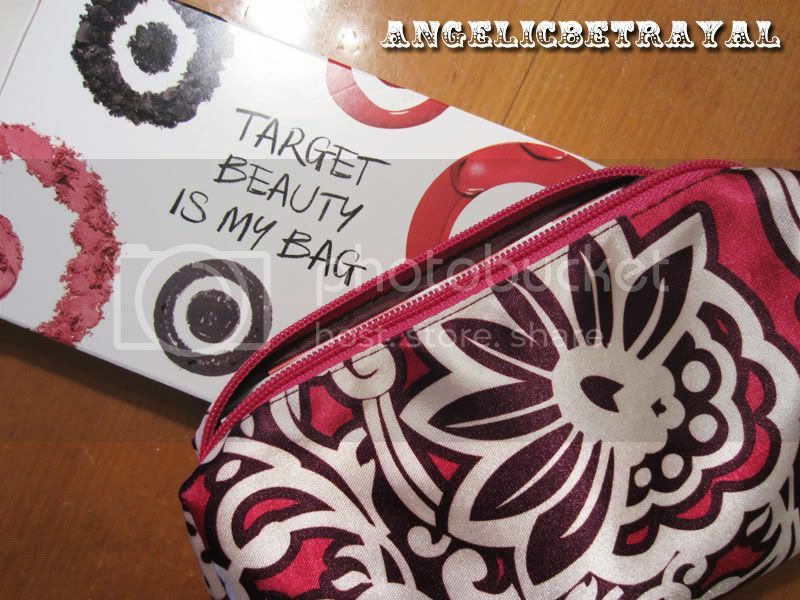 I don't believe I ever mentioned the Target Beauty Bags on my blog. But basically starting last year, Target started giving out free makeup bags filled with samples to those quick enough to order them online. 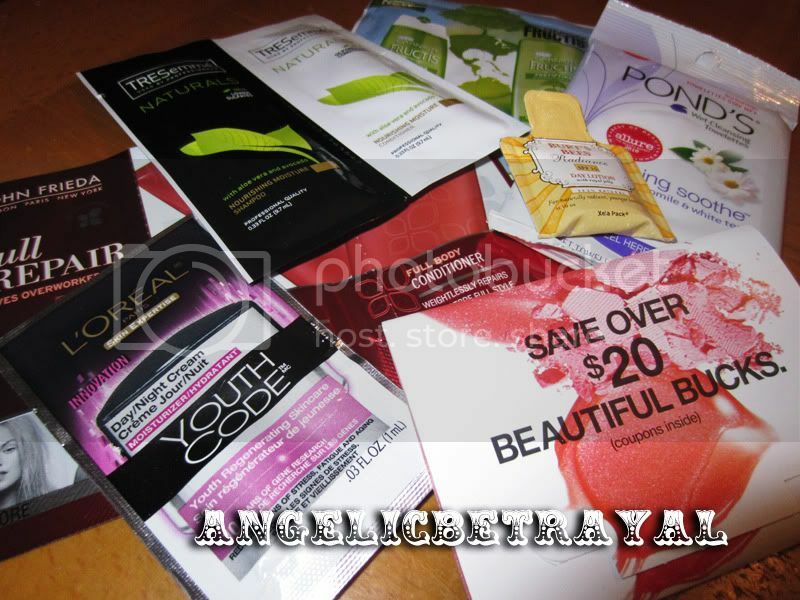 I just got my beauty bag in the mail today so I just snapped some pictures to show you all what I got. These pictures were taken with my new camera. Can you guys see the difference in quality? To be honest, I'm a little underwhelmed by the selection this year. Last time, there was a full sized Neutrogena lip balm and some more makeup related samples. This time around there were three hair related samples (I have three of the same Garnier Fructis samples from other online freebie offers...) and some teeny skincare samples. The most exciting thing inside the bag are the Pond's wipes because I have never tried them and it's nice that there are five wipes instead of just one. I'll be saving those for a future trip (when that is, I have no idea). All in all, my favorite part of this year's bag was the actual bag. Last year the pouch was a bit smaller and blue with a similar abstract design. I like the plum color on this year's bag much more and it is a bit more roomy. Did any of you sign up for this year's bag? If you have and you received your bag, did you get the same samples? I applied for it but I'm not sure if mine went through..The system overflooded really quickly this year (at least when I heard about it). What is the Burt's Bee's sample of? Yayyyyyy!!!! !I can't wait for mines to come in the mail. Im not expecting much but I hope I can make use out of the coupons. Im in need of a new makeup bag anyways. Can't wait to see what you receive Mara :D I looked online and some bags contained different samples!